Roads and Highways continues to be a strong growth driver for the Construction Equipment industry and many big ticket projects have been announced and implemented by the Government in this sector. However, ensuring timely completion of these projects not only demands the best quality output but also creates a need for specialised, intelligent and technologically advanced construction equipment. 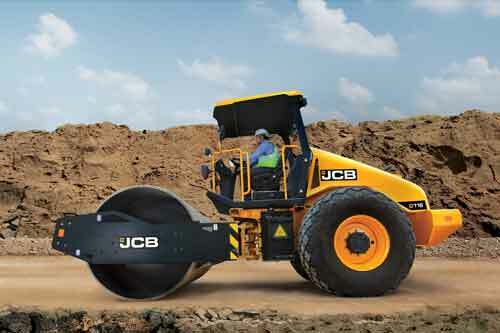 - The JCB116 – a 11T Class Soil Compactor. The JCB116 Soil Compactor is the latest world class machine that comes equipped with a state-of-the-art JCB Diesel Max engine, which provides fuel savings in the range of 5-10 per cent. Equipped with a variable fan as a standard issue, the engine delivers a massive 430Nm of torque at low engine speeds for optimum responsiveness. It provides unmatched fuel consumption in its class of machines. 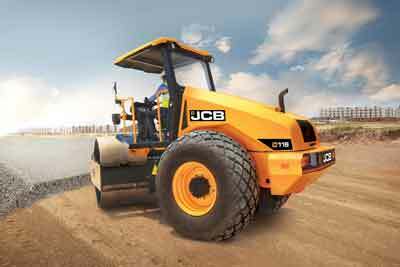 This 11T Soil Compactor comes with a revolutionary telematics technology – JCB Livelink. This state-of-the-art technology enables users to get SMS alerts on their mobile phones or smart devices regarding service alerts, operations and security of their machines. The information is available in real time regarding the health of the machine – including engines – and gives vital information to the customer in terms of number of hours the machine has been operational, service intervals, fuel levels, malfunctions if any, etc. It, thus, enables better site management and equipment utilisation. To make compaction operation even more efficient, Compaction Monitoring System (CMS) has been introduced in the JCB116 – an industry-first feature from JCB India. Integrated with JCB’s Livelink technology, CMS allows operators to monitor compaction in real-time, thus enhancing machine and operator efficiency. The first ever CMS in India with telematics connectivity, it enables consistent and uniform compaction through precise measurement and accuracy. Suitable for both asphalt and soil surfaces, it allows operation in two modes – auto and manual, displaying both frequency and amplitude of vibrations. The VMT860eco Tandem Roller is equipped with the latest hydraulics from Germany. The machine offers greater visibility for ease of operation and is equipped with an automatic water sprinkler system, which minimises the effort. Both these machines have an auto dust removal system and provide unmatched operator comfort, which ultimately increases efficiency and maximises productivity. 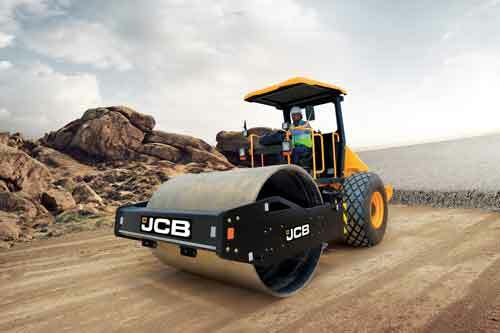 All JCB compactors offer lifetime lubricated centre joints and also offer grease-free bearings. This saves the costs of lubrication and also reduces the possibility of failures due to any negligence in greasing the joints. In our range of world class Compactors, vibrations and heat levels are kept lowest to provide a comfortable work environment. Moreover, operator-friendly and ergonomically located controls with joystick help in easy machine operation. The machine cabins are designed keeping the operator comfort in focus. Our range of Compactors features best-in-class advancements, which not only enhances the work experience but significantly reduces fatigue. Vibrations and heat levels too are kept lowest to provide a comfortable work environment. 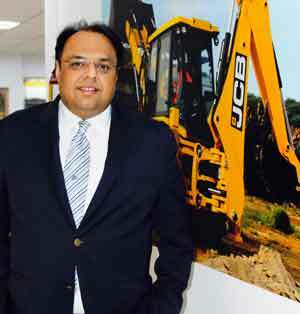 - Jasmeet Singh, Head - Corporate Communications and Corporate Relations, JCB India Limited.